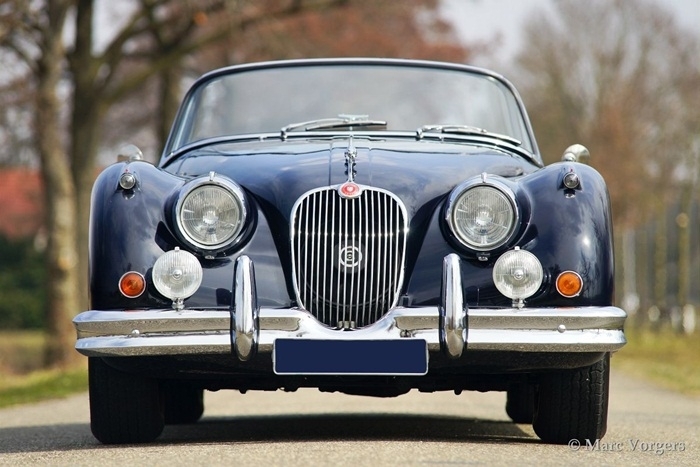 Compared with the XK 140, the following technological improvements can be noted: the XK 150 was fitted with disc brakes on the front wheels and with more powerful engines. 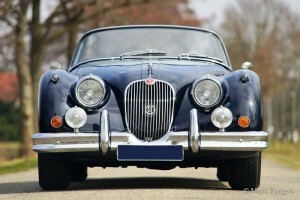 The 3.4-litre XK engine fetched a standard 210 hp, and the SE Special Equipment version even 250 hp. 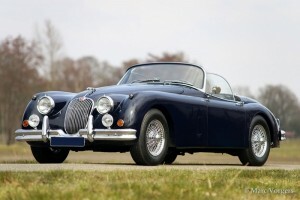 From 1958, the XK 150 was also available with a 3.8-litre XK engine with a capacity of no less than 265 hp. 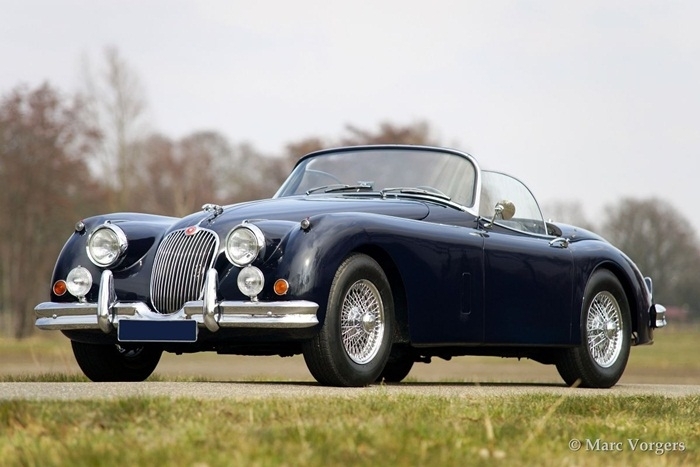 Like the XK 120 and XK 140, the XK 150 was available in three variants: the roadster, the more spacious DHC (Drop Head Coupé) and the FHC (Fixed Head Coupé) with fixed steel roof. 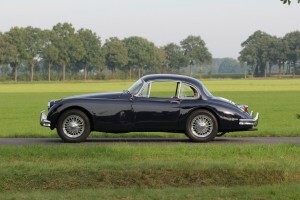 Production of the XK 150 was stopped in 1961, and after 13 years, the XK 120, XK140 and the XK 150 series were replaced by the Jaguar E-type. Jaguar XK 150 3.4 Litre OTS (Open Two Seater, also named roadster), year 1958. 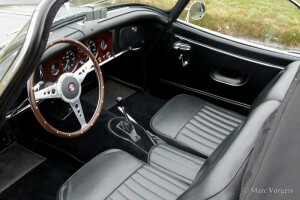 Colour dark blue with a black leather interior, black carpet and a dark blue mohair soft top. 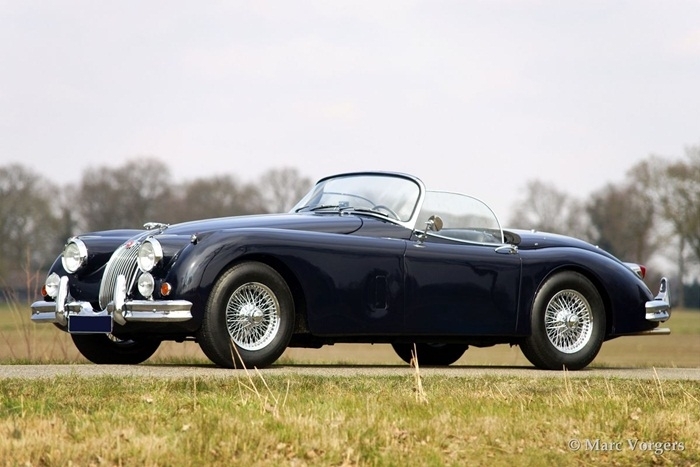 This very beautiful Jaguar XK 150 roadster was extensively restored in the past, the automobile is in superb (excellent+) condition. 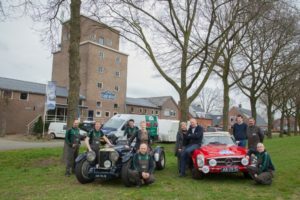 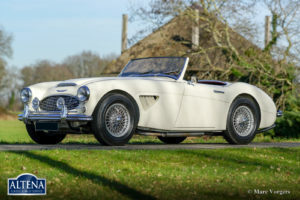 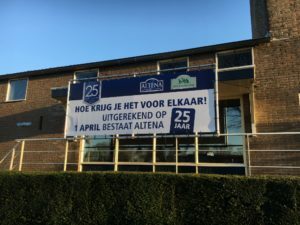 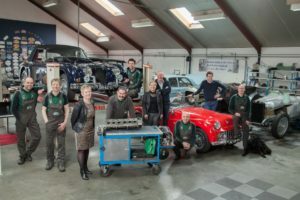 The car has been serviced and maintained in the workshop of Altena Classic Service for years now. 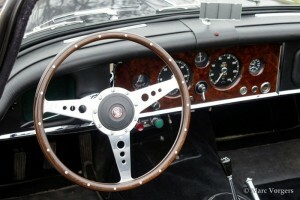 The automobile features chrome wire wheels and overdrive. 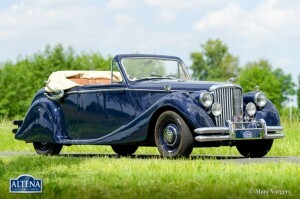 A fantastic driver and a magnificent beauty!